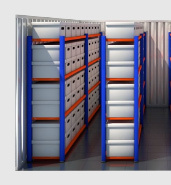 Self storage units at sites across the UK. Warehouse space for pallet storage, archives, boxes, eBay and online retailer stock. Whether you are a big company requiring large scale pallet storage, or a small startup or online retailer looking to store merchandise, we'll help you find the right solution for your business. We know the importance of value for money, and we'll work within your budget to deliver the best value for your business. Pallet storage where you only pay for the space you use. Flexible secure warehouse space without the expense. Archive, record and document self storage at your local Lok’nStore. 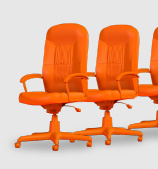 Office spaces to rent at locations across the UK. Multisite storage and national storage contracts at Lok'nStore. Storage space that grows with your online business as it expands. We have a number of sites where commercial vehicles can be parked. Read here about real life business self storage case studies.